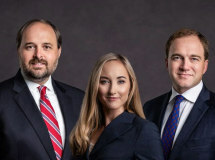 Griffith, Lowry & Meherg is an established and respected Cullman personal injury law firm that has been helping people injured in accidents for over 40 years. We are one of the few law firms in the area that primarily practices in personal injury. Our focus and experience mean we have the knowledge and resources to protect your legal and financial rights after an accident. We are trial lawyers and skilled civil litigators who hold drunk, distracted and negligent drivers accountable. We work hard to achieve full and fair compensation for people who have been injured through no fault of their own. Our attorneys will fully explain your rights and negotiate with the insurance company on your behalf. We seek full compensation so that you can pay medical bills, recover lost wages and continue to help yourself and your family get by. Throughout, we will answer your questions and treat you with the respect you deserve. We are not a large firm that is looking to settle your case quickly just to get a paycheck. When you work with us, we will look out for your interests first. Our firm's philosophy is old-fashioned, but it is the right thing to do. It is also how we have been successful in getting our clients the help they need. At Griffith, Lowry & Meherg, we offer free case evaluations, and we work on a contingency basis. You never owe us any legal fees unless we are successful in getting you compensation. From our office in Cullman, Alabama, we represent injured clients throughout Cullman County, Birmingham and surrounding areas.